Although he's only 21 years of age, Kevin Wiggers is already demonstrating remarkable talent and accomplishment as a fine furniture maker. Perhaps this is not surprising given that his father, grandfather and great-grandfather were all skilled furniture makers in their own right. 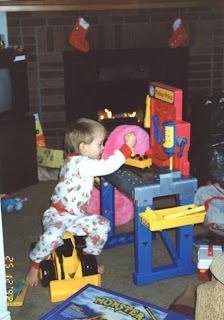 By the age of two Kevin's interest in working with tools was already making itself apparent. Growing up in suburban Toronto, Kevin's boyhood passion was sports. 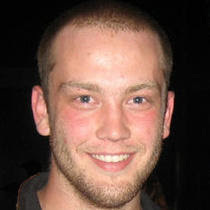 He particularly excelled at baseball, and at age 14 he was scouted by the Milwaukee Brewers professional baseball team. 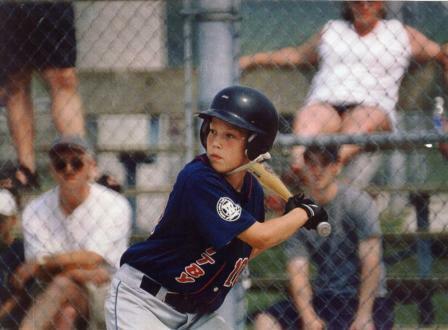 Kevin spent the next several years in the Ontario Blue Jays youth development program, playing in tournaments across North America. It was here that Kevin deepened his fascination with woodworking as he began to ask questions about how wooden baseball bats were made. This soon led to an informal apprenticeship with his grandfather Johan, who was himself trained as a master cabinet-maker in his native country of Holland. 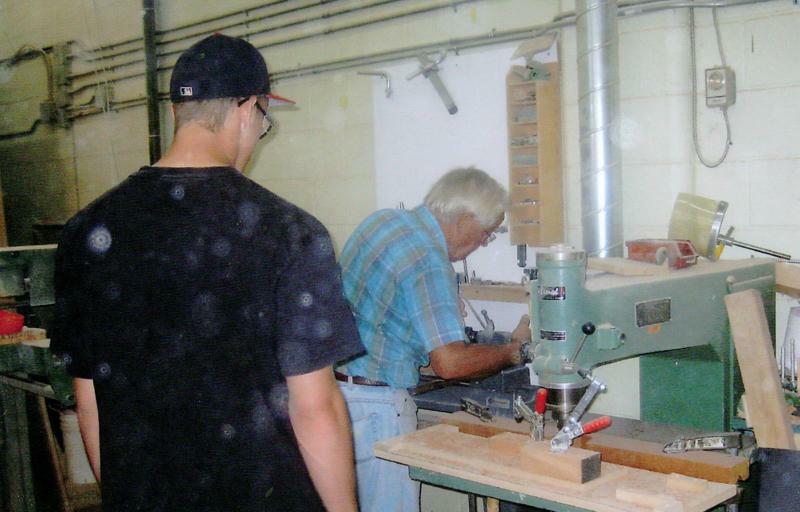 Johan taught Kevin woodturning on a lathe, and Kevin soon became very adept at making his own custom wood bats from maple and quartered ash. Following high school Kevin enrolled in a full-time Industrial Woodworking program at Conestoga College, which he graduated last year. Working out of a small studio in his father's shop Kevin has started prototyping his own designs, and he continues to spend countless hours with his grandfather learning many traditional Old World techniques of veneering and fine furniture making - many aspects of which are not taught in schools. Although Kevin enjoys working with a variety of materials including wood, metal, glass, stone and parchment his medium of choice is wood. 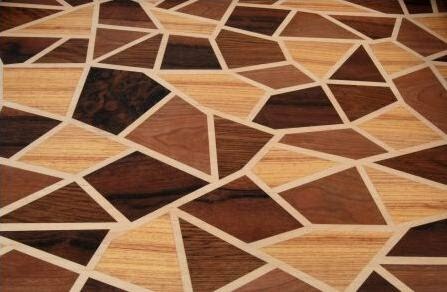 Inspired by the stone inlays on an antique coffee table made by his grandfather, Kevin has started creating his own interpretations using fine inlays of mosaic veneer. Kevin is a member of The Furniture Society and the Ontario Crafts Council. I am a studio furniture maker carrying on a tradition of my father and grandfather before me. Now that my son has shown interest in following these footsteps as well I have created this blog as a means of documenting some company history and pointing out some of the many lessons I have learned along the way. There are also some prescient and funny stories to share about the many furniture projects we have done over the years. In tandem with this I have also been involved in "green" and sustainability issues for well over 20 years. This has given me a perspective that is not always consistent with the conventional mainstream. 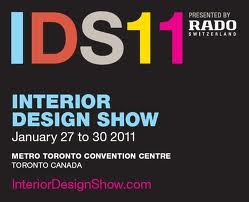 IDS11 - It's a Wrap !!! Ay, Caramba - IDS11 Opens With a Roar !!! America's #1 Export is What??? What is a Warrior of Light? Trump Hollywood Project - New Photos! I Tweet, Therefore I am? Awesome Inc. theme. Theme images by naphtalina. Powered by Blogger.